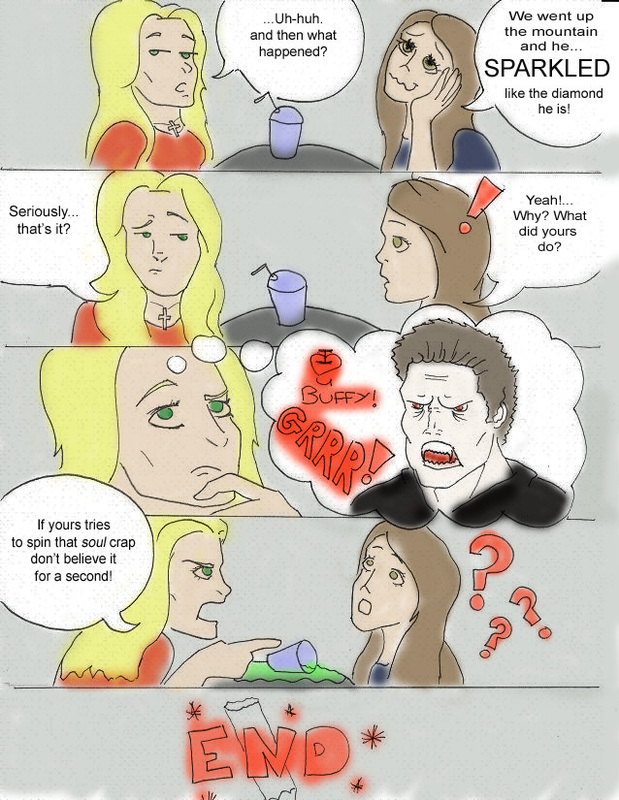 Buffy Gives Bella উপদেশ. . HD Wallpaper and background images in the Critical Analysis of Twilight club tagged: twilight bella swan buffy summers buffy the vampire slayer comic fan art.